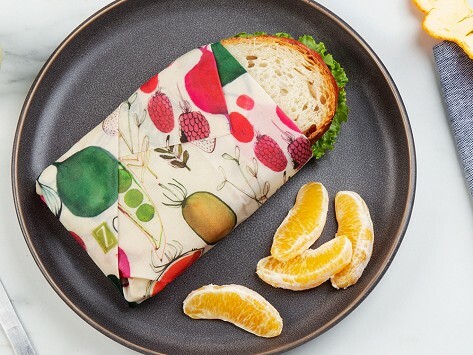 Sustainable, sophisticated, and fun, reusable beeswax wraps protect your food and the environment. Handcrafted in Massachusetts, these plastic alternatives are beautiful cotton fabrics layered with organic beeswax, jojoba oil, and tree resin. Lasting for at least 100 washes, they can also be used as a lid cover for leftovers or folded into a pouch for snacks. Dimensions: Medium: 12" x 12” x 0.02"; Large: 12"x 15” x 0.02"